In February 2012, the State Council took the crucial step in drawing up more concrete policies to protect and manage water. In a new water management decree, the government has introduced a system of penalties for water misuse in a new water management decree which expands on 2011’s No. 1 Document. Hu is not the first Chinese government official who has been the carrier of such grim news. His predecessor at the Ministry had already mentioned the threat as early as 2005, and over the years. 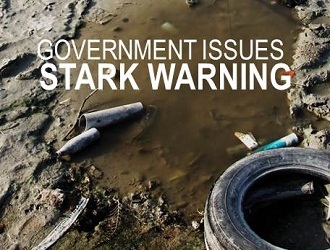 The warning has been gathering momentum at the highest tiers of the government. The Second National Assessment Report on Climate Change issued in November 2011 also echoed the same message, acknowledging that China will continue to be ravaged by frequent floods and droughts, leading to severe imbalances in water resources. With direct economic loss reaching RMB500 billion as a result of extreme weather in 2010 alone, it is not surprising that China is sensibly beefing up its water protection strategies. The new decree comprises recommendations and comments for the CPC Central Committee to better implement the 2011 No. 1 Document focused on improving water management. Key recommendations/ targets in the previous document were expanded. Efficiency index for irrigation water to be increased to 0.6 or above. The above table is a direct translation from the decree. Further clarification will be provided as and when further information has been provided by the government. The themes are to use less, and to protect. Water prices are to be reformed to reflect the true value of water. Contamination will be prevented by zoning and the construction of structures that separate and protect the sources of clean, potable water. Responsible officers of all tiers of local government above the county level1 has overall responsibility for water resources management and protection of the administrative district; his or her efforts will be assessed by the Ministry of Water Resources, subject to the approval of the State Council. The Central Government will also increase financial support to realize these measures. China’s status as the world’s factory means that the impact of its industrial use and pollution of water has both local and global reach. Quotas on water use will be set on individual industries; enterprises exceeding their respective quotas will be penalized by having their business permits revoked. But can limiting pollution and water use among industries really solve the problem? China has missed about half of its national targets for 2011. Targets for cleaning its air and water were amongst these. China’s continuing reliance on heavy industry continues to discharge massive amounts of pollutants necessary for production. Top officials like Zhang Ping, Head of the National Development and Reform Commission are recognizing that without a revolutionary change in the country’s economic model, it may be impracticable to expect major success on the government’s environmental strategies. Groundwater must be preserved and protected, not only because it is a limited resource; over extraction leads to saltwater intrusion and subsidence, the effects of which exceed economic growth and threaten human safety and survival (see Big Picture: Groundwater Depletion for more). To protect the country’s aquifers, new applications for agricultural and industrial uses will be restricted and in areas of over-exploitation applications will be rejected. Businesses that privately extract groundwater (“water theft”) will have their work permits revoked. Private wells within the city’s public water supply network will be shut down. Deep aquifers will only be tapped for strategic reserves. According to Steve Clark of Sino French Water, (click here to read Clark’s interview with China Water Risk), any less than a substantial price hike may help reduce water consumption among industrial users, but do little to change the habits of domestic users. Further, Clark believes that low water tariffs currently enjoyed by Chinese citizens continues to discourage the development of desalination and recycled water. Inter provincial Collaboration a Reality? As rivers, lakes and underground water sources run across provincial lines, the collaboration of regional governments is crucial to the effective implementation of the latest measures. A good example of such collaboration in action would be the current Water Quality Compensation Agreement between Zhejiang province (the source of Xin An River) and Anhui province (the end of the Xin An River). The Central Government is to jumpstart the plan with a hefty RMB30 million investment to improve the water works in the Zhejiang province, long been blamed as the culprit of pollution of the Xin An River. Three years later, the water quality of the Xin An River on the Anhui side will be evaluated. If the water quality is improved, then Anhui must pay RMB10 million to Zhejiang as reward; otherwise, Zhejiang must pay the same amount to Anhui as compensation. Applauded as a great innovation at its inception in December 2011, with similar agreements copied by no fewer than eight other provinces, the arrangement has since become the subject of endless bickering. So what is “better”? Better by how much? What if Zhejiang intentionally degrades the water quality to make room for improvement for the coming three years? What if Zhejiang needs to invest more than RMB10 million to maintain water quality hence rendering the reward valueless? And what about opportunity costs, the aggressive economic development that Zhejiang must now forgo to decrease pollution? Under orders from various leaders of the Central Government, work has begun on both sides to realize the agreement. Construction has started on water improvement works, and polluting industries have been removed from areas near the River. But with so many issues in disagreement, settling the scores by the end of the three years can be quite a battle. Pollution and depletion of natural resources have long been on the Chinese government’s agenda, but the urgent reality of the nation’s water shortage situation has cast the issue under the spotlight, leading to the creation of concrete policies, which can hopefully transform into regional action. The key to successful implementation lies in the regional governments’ willingness to sacrifice economic gain, to cooperate with each other and to improve enforcement. It is now in the hands of the local leaders to set the right course for the future. 1 Government administrative divisions of the People’s Republic of China from high to low: Province, Prefecture, County, Township, Village.